Bioinformatics is a multidisciplinary academic field that introduces methods and software applications for better comprehension of biological data. Biology is conceptualized and then further analyzed using ‘informatics’ methods (from branches of learnings such as computer science, mathematics and statistics) since they allow for better comprehension and categorization of information associated even with vast amounts of data. To put it simply, it combines the various computer technology advancements to better manage and study volumes of biological information. Enables life scientists to have an accurate and comprehensive representation of biological knowledge and take full advantage of bioinformatics technologies. Bioinformatics enables major advances in varied life sciences and medical areas. Ensuring online access to bioinformatics resources, such as databases and software platforms, as well as training and support from skilled bioinformaticians, is therefore essential for medicine and life sciences. Bioinformatics provides an insightful knowledge of the mechanisms involved in diseases thus resulting in more improved treatments, cure and proactive tests to be curated. Personalized medicines take time to create because genetic code varies for every person. A study found that almost 100,000 genes exist for a human being and individually targeted medicine would be inconceivable without proper tools and data. Through bioinformatics, effective use of a patient’s information’s allows for a more optimized patient’s diagnosis. Doctors will be much more adept at analyzing a patient’s genetic profile and create an effective medicine therapy and dosage from the early onset. Bioinformatics allows for successful prevention of diseases before they affect the patient and mitigate all disease symptoms. With the rapid advancements in disease gene identification, bioinformatics techniques are vital in identifying candidate disease genes. It allows for a more powerful tool for revealing biological genes defect and data thus resulting successful when positional and functional routes are integrated. Alternative methods have been developed systematically to explore datasets for the most likely candidate disease genes. Bioinformatics plays a huge part in order to identify this important. Leading experts in diseases are gaining new understandings and deeper insights on the most probable cause of various diseases and the effective cure for the patient. Genomics involves studying genomes, specifically the identification of their organization, uses and transformation. Human genome studies generate large amounts of data that are required to be scrutinized and analyzed rapidly. Through Bioinformatics, analysis of data is done quickly in a matter of hours in a technical term called “next-generation sequencing”. This technique is expected to be a progressive, cost effective, and systematic DNA integration method. In addition, Genomic maps that are represented as computerized models scientists to easily identify genes, and thus allowing for more efficient data analysis, better productivity rates and great strides in Genomic advancements. Due to this development in bioinformatics, scientists can spend less time on the painstaking mapping process and more time to test their hypotheses. According to the National Cancer Institute, Researchers are depending on the advanced computer technologies to take on challenges and opportunities to answer complex biological questions. Cancer bioinformatics is an emerging study that is vital and effective in clinical trials to improve patient’s chance of getting cured. Doctors and scientists look for biomarkers to link the information of a patient such as medical history, previous treatments, biochemical data, and other relevant measurements. All the patient’s information and the various biomarkers will generate huge volumes of data. Experts turn to bioinformatics to better compare and understand the applicable treatments and possible cure for the patient. It plays an important role in identifying biomarkers that can help in monitoring disease growth in a patient with the end goal of improving the existing therapy for a higher quality of life for the patient. Profound studies in evolutionary process and mutations are made possible with Bioinformatics. Huge amounts of data are categorized effectively allowing for a more in-depth look at genetic markers that were previously undetected. As a result, scientists have a higher chance of uncovering relationships or anomalies between life forms and species they never considered before. According to NCBI, Bioinformatics is now widely used in protein structure synthesis to get a new level of knowledge about life organization. Traditionally, proteins have been studied individually. With advances in sequencing technology, the paradigm shifted from studying single proteins to a whole set of an organism. 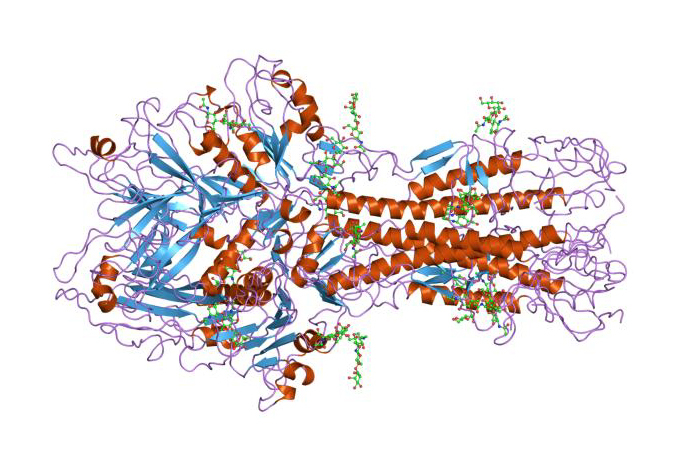 Proteins are analyzed through a variety of state of the art technologies providing scientists with a more deeper knowledge into the protein sequences roles and their related biological processes. Moreover, bioinformatics techniques afford scientists the opportunity to test ideas on how different proteins relate to each other. Without a doubt, the field of bioinformatics has provided great strides in biology since it provides knowledge seekers with answers for the vital and foundational questions without the hassle of manually interpreting large amounts of data. Much of the success and dynamism of today’s life science flows directly from the culture that has grown up around bioinformatics, including open-access data and data services, community projects (e.g. in annotation, ontology or standards development) and open-source software. To better learn and understand Bioinformatics as a beginner, we have tackled the introductory definition and a few of the application of Bioinformatics to different interdisciplinary fields. Did you learn something new about Bioinformatics? If so, please like and share this article. Are you interested to learn more about Bioinformatics? Then please subscribe to our website! Thanks.